The BSR electric project was invited to pitch our achievements at this year’s Interreg Baltic Sea Region Programme Conference in Lübeck on April 9th and 10th. With more than 300 participants attending, the conference drew a lot of attention, which also showed in the mayor of the Hanseatic City welcoming all at the town hall for dinner on Tuesday evening. 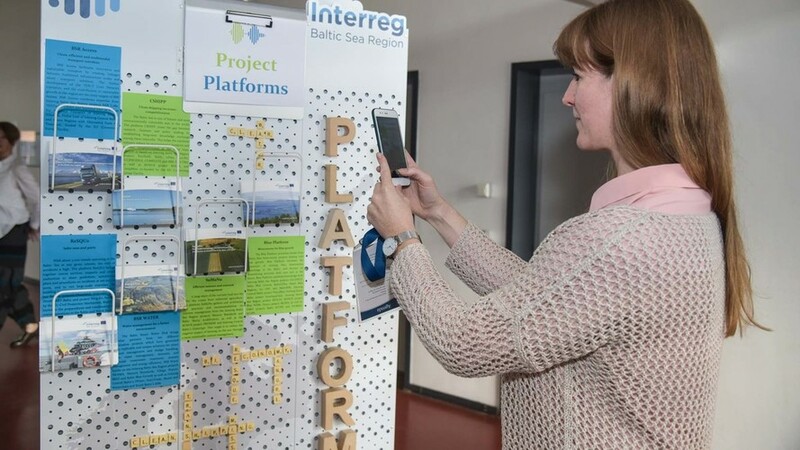 The conference provided a great opportunity for representatives of 111 projects, projects platforms, people responsible for allocating the funds, the European Commission, coordinators of the EU Strategy for the Baltic Sea Region, experts and others to talk about project achievements and lessons learned. 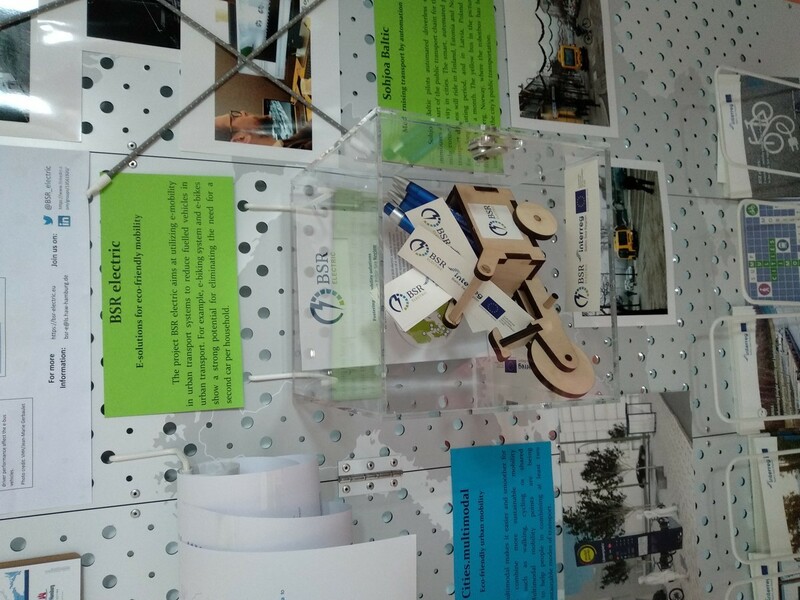 Moreover, it served as an ideal means of highlighting the importance of transnational cooperation. 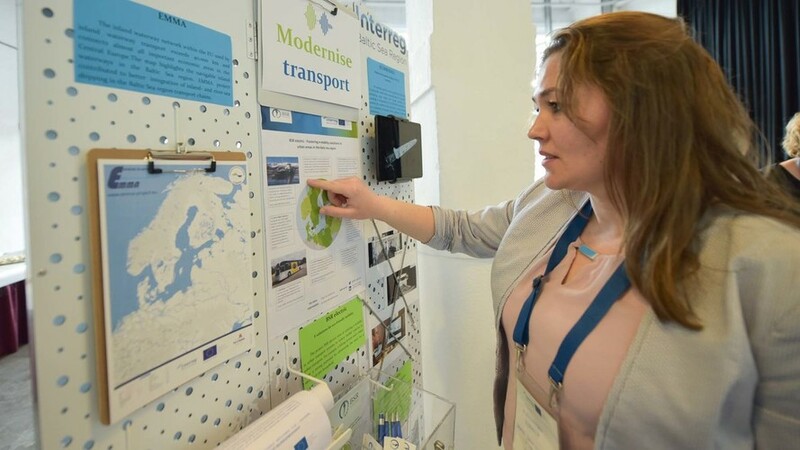 For BSR electric our communications manager Ms Jennifer Pohlmann took part and pitched the project in a „Dragon’s Den“ manner during one of the sixteen parallel sessions dedicated to the thematic field of “sustainable urban mobility“. There were very interesting discussions with the experts on the panel and it was a nice opportunity to get in touch again with the other projects of this thematic field. Our project received a lot of interest as we are providing hands-on user-centric experience with our seven use cases for public authorities, urban transport planners, and people engaged in urban infrastructure topics.